Bicycle Accidents - The Emma Law Firm - Law Offices of Michael Anthony Emma, P.C. : The Emma Law Firm – Law Offices of Michael Anthony Emma, P.C. Were you or a loved one injured in a bicycle accident in Texas? Whether biking to work or riding recreationally, sometimes bikes and cars have a tough time sharing the road safely. Bicyclists who are involved in a collision with a vehicle may suffer significant injuries and require extensive medical treatment and rehabilitation. In some cases, some bike accidents result in the death of the bicyclist. Like automobile drivers, bike riders are required to obey traffic rules. Both bicyclists and car drivers have a duty to exercise reasonable care on the road and avoid engaging in unpredictable or reckless behavior. They also have a duty to watch out for each other. Bike accidents may be caused by a number of factors, including road hazards, weather conditions, recklessness, or carelessness. There were almost 1,000 bicycle crashes and 16 fatalities in Dallas County alone from 2010 to 2014, according to data released by the North Central Texas Council of Governments. If you were injured in a bicycle accident in Texas, you may qualify to file a bike accident lawsuit and seek compensation for your injuries. 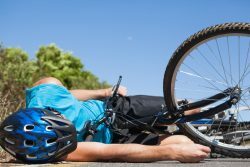 What to Do after a Bicycle Accident? If you were injured in a bike ac cident, you’re likely shaken up by the event. First and most important, seek medical attention for your injuries. Cuts, scrapes, and bruising are normal, but some injuries may not be evident immediately. Adrenaline and stress may temporarily mask the pain of an injury in the aftermath of a bike accident. A medical professional can conduct the necessary tests and begin treatment if any underlying injuries are discovered. This medical evaluation is not only important for your own health and well-being, but it will be an important part of a bike accident lawsuit should you decide to pursue one. In any event, it may be a good idea to consult with an attorney to learn about your legal options. The Emma Law Firm offers FREE CONSULTATIONS to victims and will help figure out the next steps to take. An attorney can also evaluate the facts of your case to determine whether a Texas bike accident lawsuit would be appropriate under the circumstances that are specific to your situation. If the motorist is covered by automobile insurance, then the insurance adjuster will investigate the incident and will perhaps offer you a settlement. Unfortunately, insurance adjusters often attempt to offer a lower settlement amount than the injured party may be entitled to receive. A bicycle accident attorney can help you negotiate a higher settlement payout from the insurance company. If you decide to go file a bicycle accident injury claim, your attorney will file the bicycle accident lawsuit in Texas on your behalf. Then the attorney will begin the discovery process to learn as much about the accident and your injuries as possible. During the discovery process, the attorney will take witness statements, consult with medical experts, and/or seek the assistance of an accident reconstruction team. This stage of litigation is essential to crafting the legal arguments that support your case. After the discovery stage, the insurer may propose a settlement, or your attorney will attempt to reach a settlement with the opposing counsel. If a settlement is reached, a judge must approve it. A settlement that is approved by the court often results in a faster payout to the injured party than could be obtained if the case goes to trial. If a fair settlement cannot be reached, your bike accident lawyer will prepare your case for trial and advocate on your behalf to seek compensation for your medical expenses, lost wages, pain and suffering, and other damages. nses, lost wages, mental anguish, loss of companionship, and the loss of other benefits that would have been provided had the bike accident not resulted in death. If you or a loved one were injured in a bicycle accident in Texas, contact The Emma Law Firm in the Dallas area to discuss your case and learn about your legal options. Michael Anthony Emma is an experienced personal injury attorney who will help you determine what steps to take to get fair compensation for your injuries. If a bicycle accident lawsuit is appropriate, Mr. Emma will represent you every step of the way to help you obtain compensation for your medical expenses, lost wages, pain and suffering, and any other losses you suffered due to the accident. 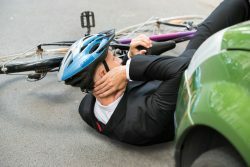 If a loved one was involved in a fatal bike accident, Mr. Emma will offer compassionate guidance to you about the possibility of filing a wrongful death lawsuit. If a wrongful death lawsuit is filed, your attorney will fight to make sure you are taken care of financially.